A vigorous, healthy grower with a uniform vase shape. 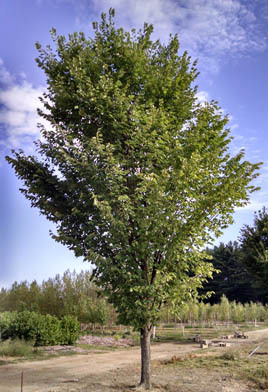 Among the best selections resistant to Dutch elm disease. Attractive, large, leathery foliage. Prefers rich, moist soil. Relatively fast growing with good tolerance for salty soils or periodical standing water. IMPROVED NATIVE.